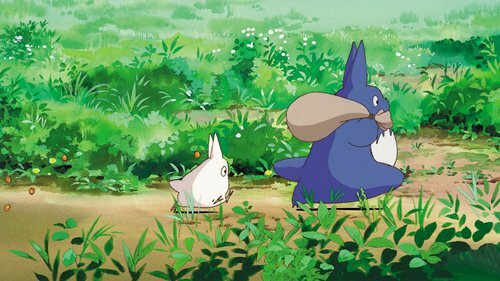 Earning a total of 89.58 million yuan ($12.97 million), Studio Ghibli's classic Japanese animated film My Neighbor Totoro took the No.2 spot at the weekend box office in the Chinese mainland. The major news, however, is not that a 30-year-old film has beat out new Indian movie Padman to become a box-office contender, but how Chinese moviegoers' affection for a Japanese animator helped drive the film's performance and what that means for the future. While My Neighbor Totoro debuted in Japanese theaters back in 1988, the work never came to theaters in the Chinese mainland. This is not to say that the film and the other works from Studio Ghibli's animation master Hayao Miyazaki are unknown in the mainland. Chinese film lovers who wanted to see the film eventually turned to DVDs and later the internet to see this and the many other films from Miyazaki. However, this now marks the first time one of the director's films has officially screened in the mainland, a fact that the marketing company for the film made good use of when promoting the film. "It is now time to pay back Hayao Miyazaki for all the tickets we owe him" was the tagline used on much of the promotional material released during the buildup to the film's arrival. "The difference between a Miyazaki animated film and your average animated show on TV is like the gap between a movie and a TV drama," Li Weiran, a Chinese animation teacher, told the Global Times. The 30-something Li first began watching Miyazaki's works during the 1980s. He still remembers his parents playing Laputa: Castle in the Sky (1986) for him as a kid, and that the first one he was able to pay attention to from start to finish was Princess Mononoke (1997). "Hayao Miyazaki's films have been a major part of the Japanese animated movie industry for the past 20 years," Li said. "'There are Disney, Studio Ghibli and then the rest' - this is most people's understanding of the animation industry." According to a report on Mtime, Studio Ghibli's decision to push a mainland screening for My Neighbor Totoro was actually made eight years ago. The choice to wait until the film's 30th anniversary seems to be a shrewd marketing decision as it paves the way to bring other Studio Ghibli films to theaters for their anniversaries. My Neighbor Totoro currently holds a 9.1/10 on Chinese movie review site Douban - higher than 98 percent of all animated movies reviewed on the site and, in terms of Studio Ghibli's output, second only to Spirited Away, which has a 9.3/10.